The 2018 Jeep Grand Cherokee model year marks the full-sized crossover’s 25th anniversary since its 1993 launch. 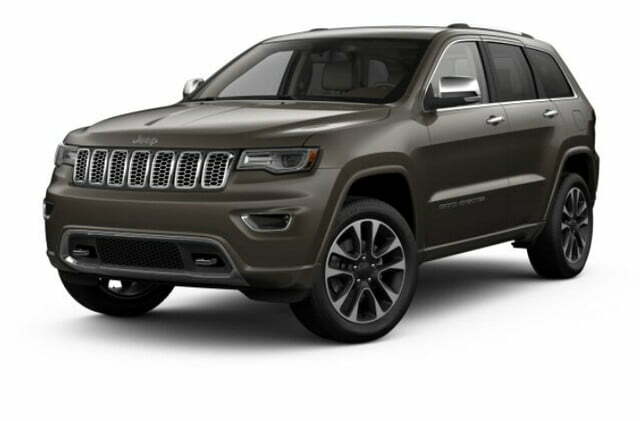 The Grand Cherokee is the best-selling Jeep, out-selling the Cherokee, Wrangler, and all the little Jeeps. 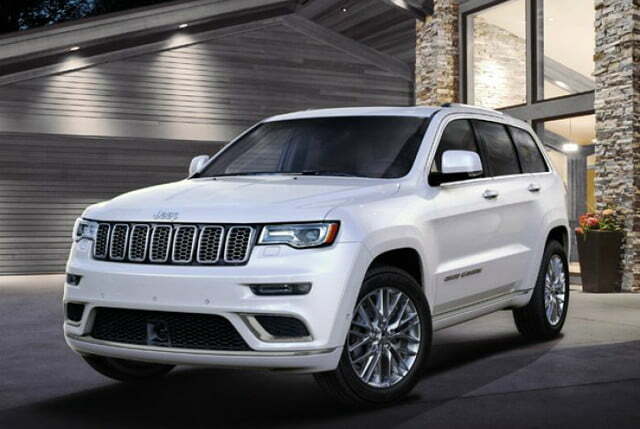 In the eighth year of the fourth generation, the Grand Cherokee could be heading for a redesign in the next year or two, but brand parent company Fiat Chrysler Automobiles (FCA) has made no such announcement or hint. 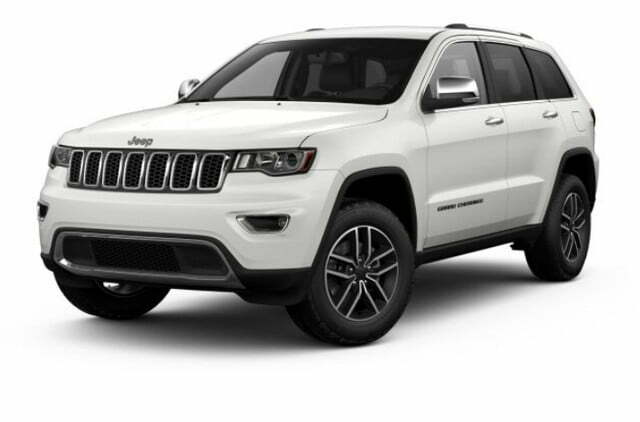 Since the first generation, the Grand Cherokee has always been technically a crossover because of its unibody construction, lacking a true SUV’s body-on-frame build. In practice, most people, including Jeep, refer to the Grand Cherokee as an SUV. 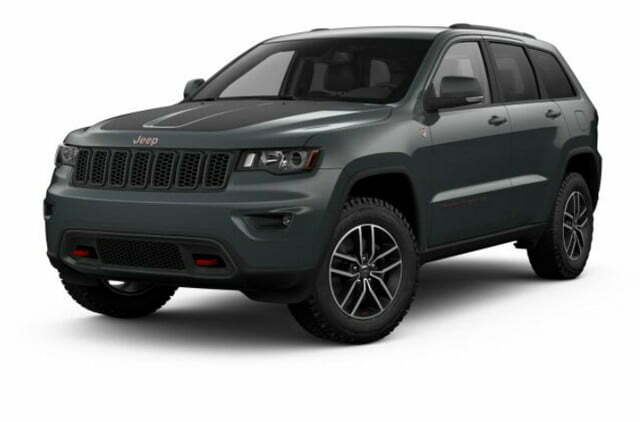 Whatever you call it, the versatile Grand Cherokee has available in a wide variety of trims. Buyers can choose from fairly standard vehicles, luxurious models, good off-road rock-crawlers, and two trims that are crazy fast. The 2018 Grand Cherokee has only minor changes from 2017. There is, however, one extremely notable, insanely fast addition to the lineup. 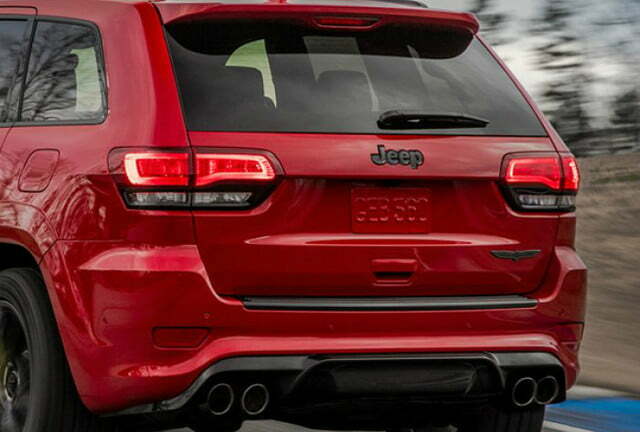 If the 420-horsepower Grand Cherokee SRT8 made you gulp when it was introduced in 2006, take a breath as Jeep welcomes the 707-hp 2018 Grand Cherokee Trackhawk, with a starting price of $85,900. In the shadow of the Trackhawk introduction, the other 2018 Grand Cherokee changes are much less exciting — but they matter. 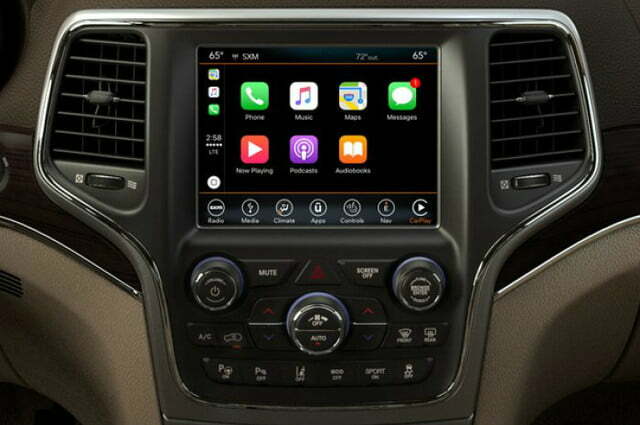 All 2018 Grand Cherokees have Apple CarPlay and Android Auto to link your smartphone to the infotainment system. 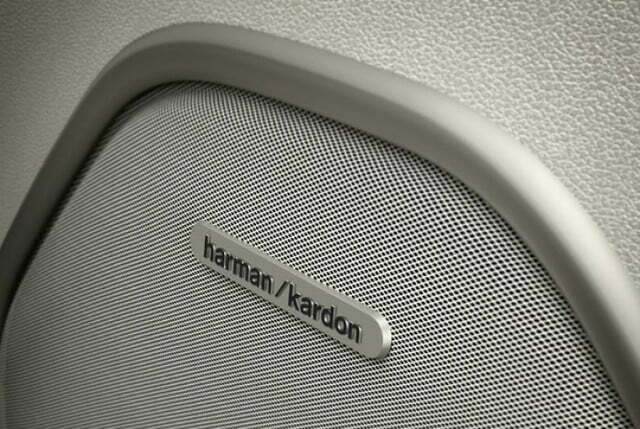 There’s a new Sterling edition for the Limited trim as well, adding a luxury step-up. The new Overland High Altitude edition adds heavy-duty off-road-capable equipment too. 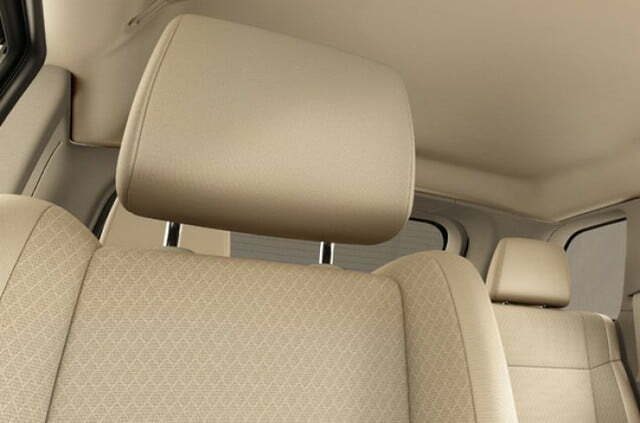 Finally, the base Laredo trim now has standard 17-inch aluminum wheels and includes a choice of cloth patterned seats in Black or Light Frost Beige. 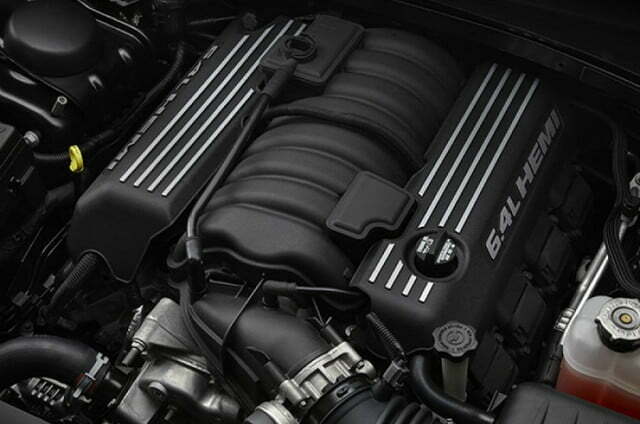 For the 2018 model year, Grand Cherokee engines include one V6 and three V8s. 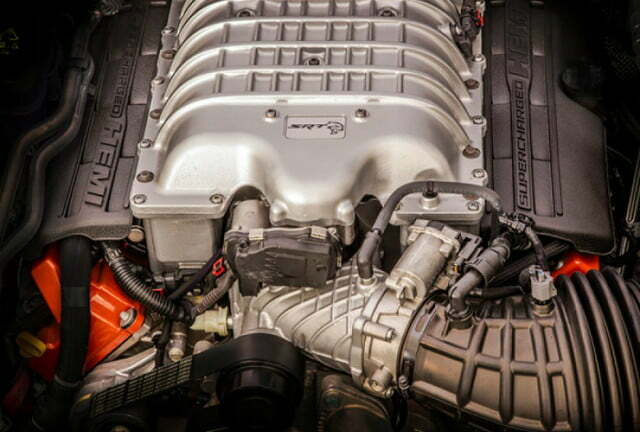 Two of the eight-cylinder engines are restricted to the SRT and Trackhawk. 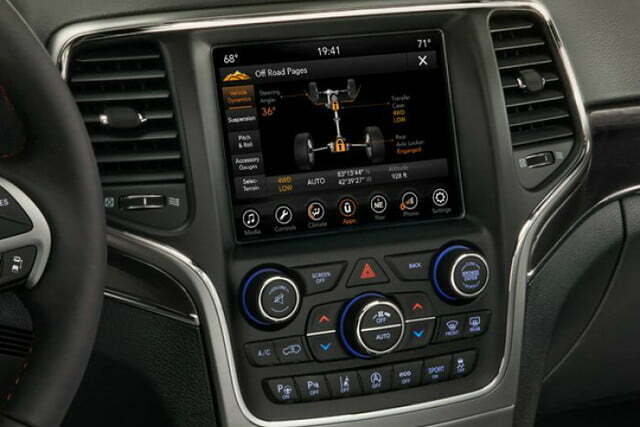 All models have TorqueFlite eight-speed automatic transmissions. 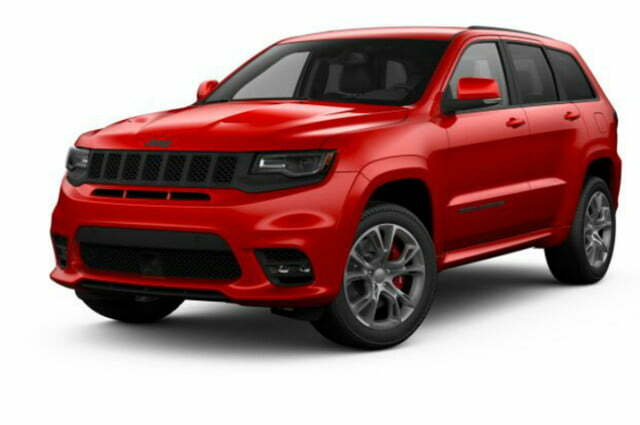 Other than the SRT and Trackhawk, the other seven Grand Cherokee trims have a 295-hp Pentastar 3.6-liter V6 as standard equipment. The V6 is rated at 260 pound-feet of torque, tows up to 6,200 pounds, and employs Engine Stop-Start (ESS) technology to conserve fuel. Grand Cherokee owners who want more power, particularly for towing, can opt for a 360-hp, 5.7-liter V8 with 390 lb-ft and a 7,400-pound maximum towing capacity. With a 6.4-liter V8 producing 475 hp, Jeep claims the SRT scoots from 0 to 60 mph in 4.3 seconds, rips the quarter-mile in 12.8 seconds, and has a top speed of 160 mph. The new Trackhawk’s 6.2-liter supercharged V8, rated at 707 hp and 645 lb-ft, hits 60 mph in 3.5 seconds, nails the quarter-mile in 11.6 seconds, and tops out at 180 mph. The SRT and Trackhawk both have five dynamic drive modes: Auto, Sport, Track, Snow, Tow, and Custom. 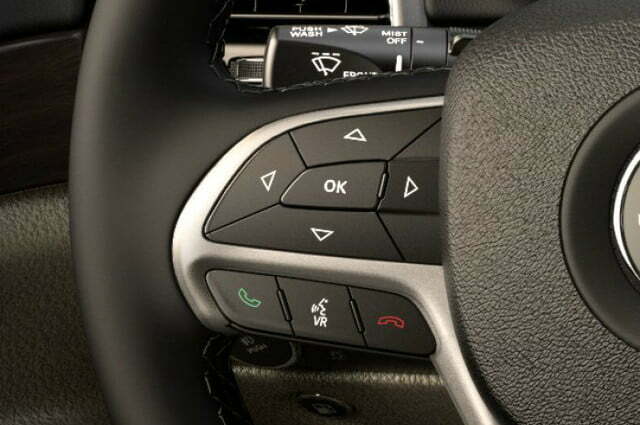 Selected via a console-mounted switch, the mode choice configures the four-wheel drive system, transmission, stability control, suspension, and steering. Both performance vehicles also have launch control for the fastest acceleration from a standing stop. Useful if you’re on a dragstrip, launch control isn’t a feature most people are advised to use in their own neighborhood, at least not more than once. Deciphering Grand Cherokee trims and special editions can be confusing, but we outline the major differentiating features below. If you don’t have a list of absolute”must-haves,” choosing a new Grand Cherokee from a dealership is the simplest course. If you go to the Jeep website, the process gets complicated quickly as you encounter a maze of models and editions. 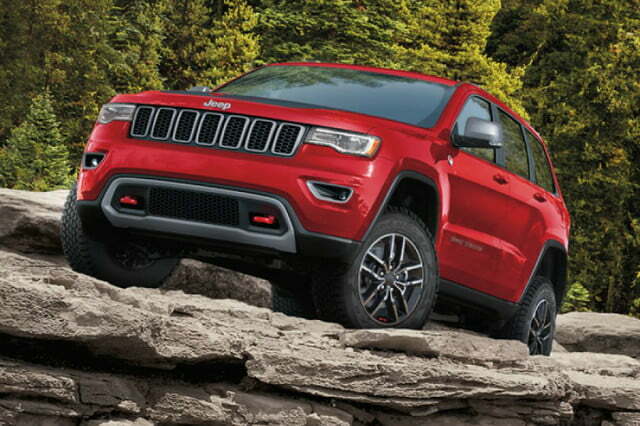 Officially, there are seven Grand Cherokee models: Laredo, Limited, Trailhawk, Overland, Summit, SRT, and Trackhawk. 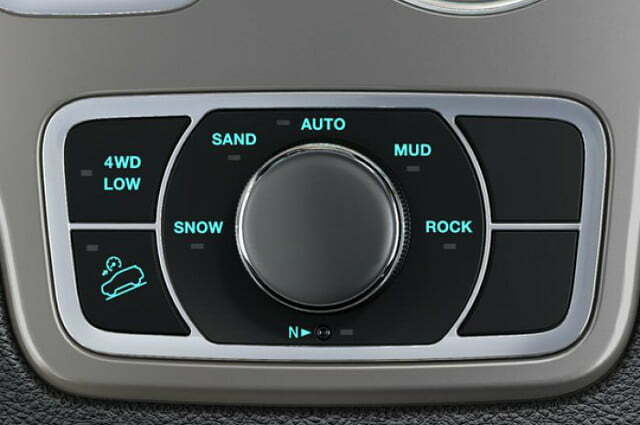 Jeep’s build-you-own configuration tool, however, shows at least four more versions, for a total lineup of eight models including the Laredo E, Altitude, Sterling, and High Altitude. To keep the differentiation as simple as possible, we’ll use Jeep’s classification and treat the “editions” as subsets of the trims, with summaries of each. The selection of Laredo, Limited, Trailhawk, and Overland trims provides a wide range comfort, convenience, luxury, and off-road performance. 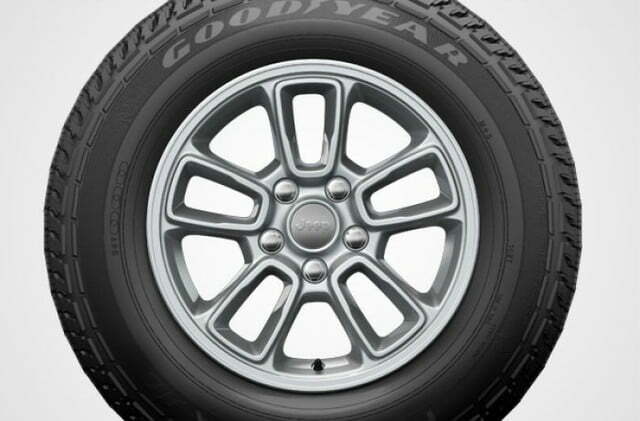 The starting prices of this first group range from $30,595 for a two-wheel drive Laredo to $47,995 for a 4×4 Overland. The Laredo is the starting point in the Grand Cherokee model lineup, available in 4×2 ($30,595 starting price) and 4×4 ($32,895 base) versions. The Laredo costs too much and is too well-equipped to refer to as a “base” model, but that’s what it is. All other trims and editions build on the Laredo. 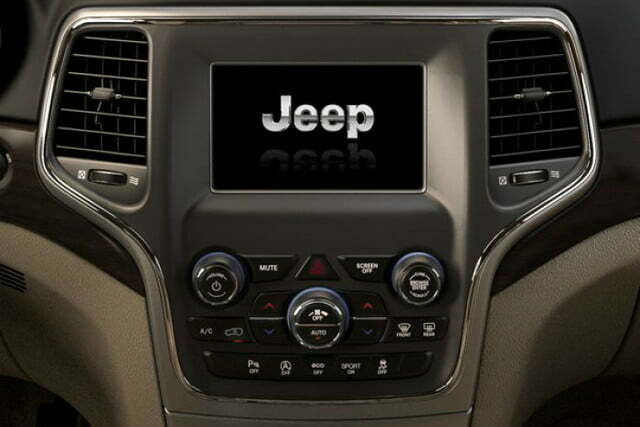 The Laredo comes standard with 17-inch wheels, FCA’s Uconnect 4 with a 7-Inch touchscreen display with Apple CarPlay and Android Auto Capability, and a second 7-inch driver information digital cluster display. 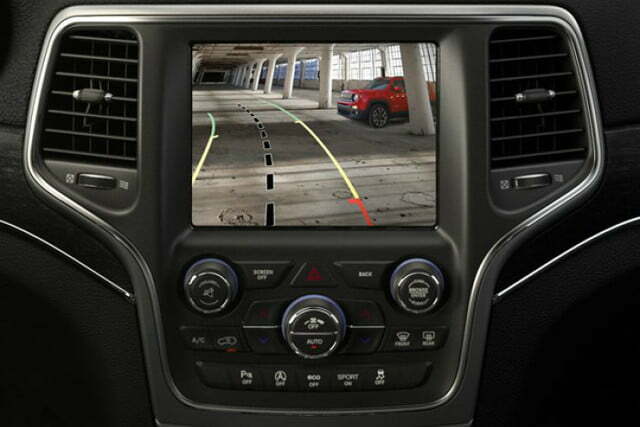 Other features include keyless entry, push-button start, and Jeep’s ParkView rearview camera. The Laredo has two option packages choices. 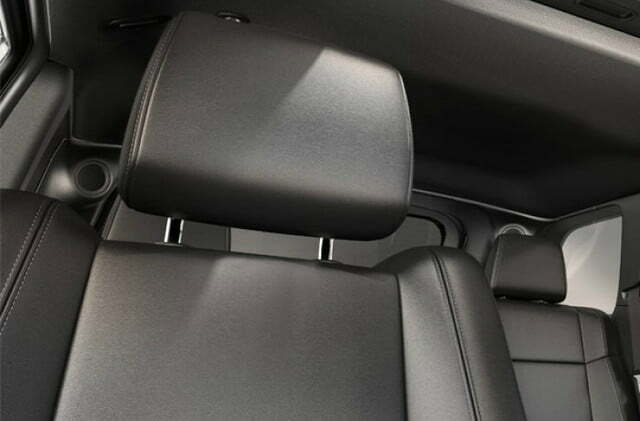 The Laredo E ($32,895 4×2/$34,895 4×4) adds an eight-way power adjustable driver seat, four-way power driver lumbar adjustment, and bright side roof rails. The Laredo E also opens up the available options list. 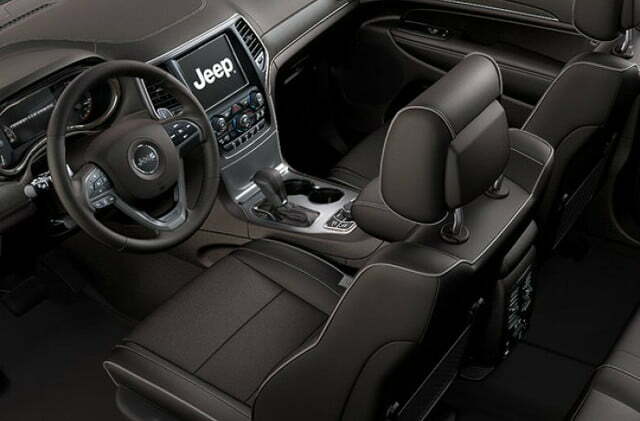 Laredo’s Altitude Edition ($36,690 4×2/$38,990 4×4) gains 20-inch gloss black aluminum wheels, gloss black body accents, a heated, leather-wrapped steering wheel, heated front seats, a power liftgate, remote start, and the Uconnect 4C NAV system with an 8.4-inch touchscreen and GPS navigation. 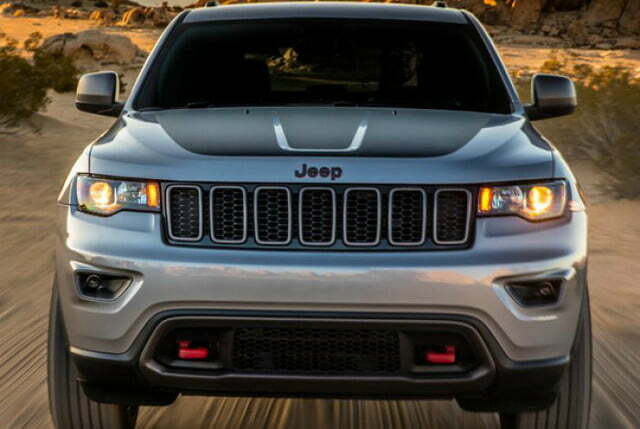 The Limited is the first-step luxury Grand Cherokee. Starting at $38,195 with two-wheel drive and $40,195 for the 4×4 version, the Limited’s substantial list of convenience, comfort, and style upgrades includes 18-inch polished aluminum wheels and heated leather seats. Like the Limited but looking for a bit more luxury? 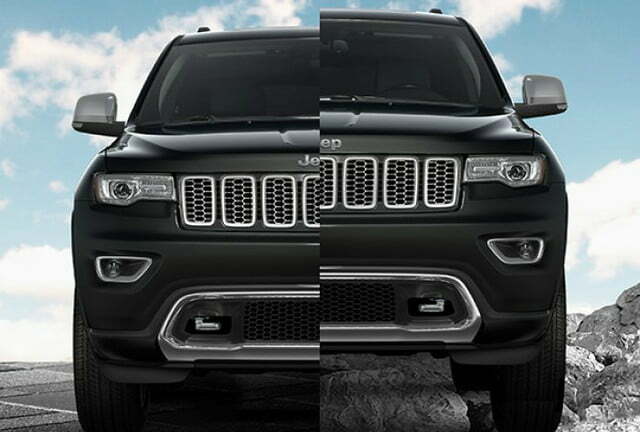 Check out the Sterling Edition (starting at $42,195 for the 4×2 version and $44,195 for the 4×4 model). The Sterling edition gains platinum chrome exterior accents, 20-inch wheels, distinctive seats, the Uconnect 4C NAV system, an upgraded nine-speaker Alpine audio system, and a power sunroof. 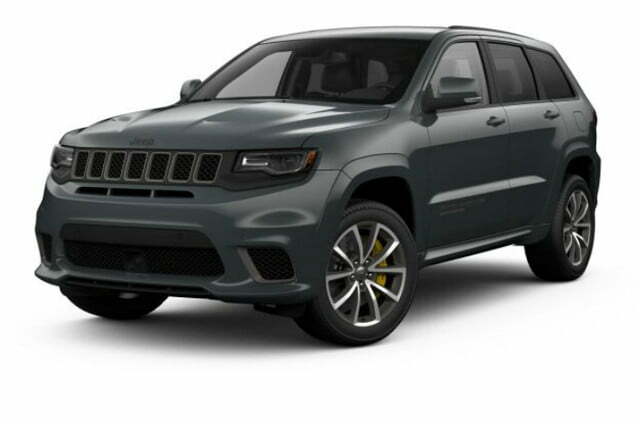 Jeep refers to the Trailhawk as the Grand Cherokee with the “best 4×4 capability.” Available only as a 4×4 with a $43,295 starting price, the Trailhawk — not to be confused with the Trackhawk — has 18-inch polished aluminum wheels, an air suspension system, Selec-Terrain 4×4 system with speed control, accent tow hooks and grille, and an anti-glare hood decal. 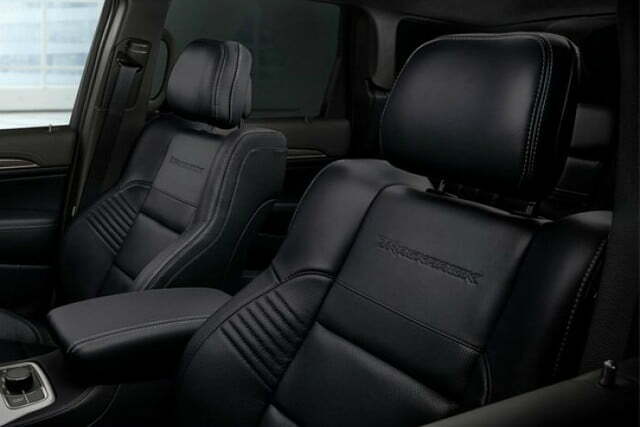 The Trailhawk also comes standard with a nine-speaker Alpine audio system with active noise cancellation and distinctive seats with suede inserts and red stitching. 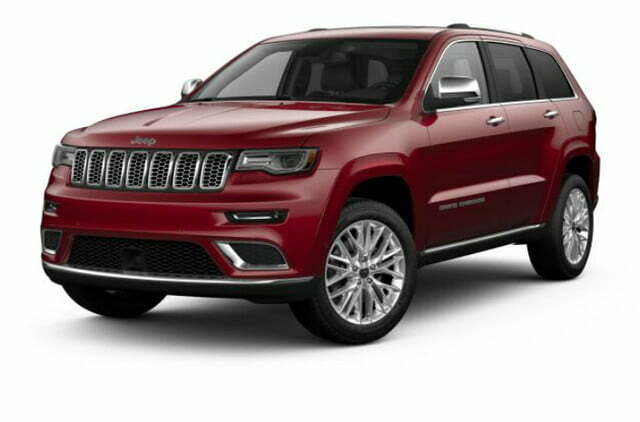 One step in standard luxury features below the Summit trim, the Grand Cherokee Overland starts at $44,995 with two-wheel drive and $47,995 for the 4×4 version. The Overland has a leather-trimmed interior, 20-inch polished aluminum wheels, a dual-pane sunroof, a premium Alpine audio system with nine speakers and active noise cancellation, Uconnect 4C NAV with an 8.4-inch touchscreen and GPS navigation, Jeep’s Quadra-Lift suspension system, and high-intensity discharge headlamps with signature LED daytime running lamps. The Overland High Altitude Edition adds heavy duty off-road features and Jeep’s full safety and driver assistance suite. Starting at $47,490 with two-wheel drive and $50,490 for the four-wheel drive version, the overland has adaptive cruise control with stop, advanced brake assist, full speed forward collision warning, lane departure warning, parallel and perpendicular park assist, and rain-sensitive windshield wipers. In addition to 20-inch wheels, the High Altitude Edition has heavy-duty engine cooling and heavy-duty trailer towing capability. If you typically seek the most luxury or the highest performance, chances are you skipped the previous model info. The Grand Cherokee Summit is the most luxurious and the SRT and Trackhawk are by far the most powerful in the 2018 lineup. If you want the fanciest Jeep Grand Cherokee, the Summit is the top of the class starting at $50,995 for the two-wheel drive model and $53,995 as a 4×4. The Summit comes with standard 20-inch fully polished aluminum wheels, an interior metal package, a high-performance audio system with 19 speakers and active noise cancellation. 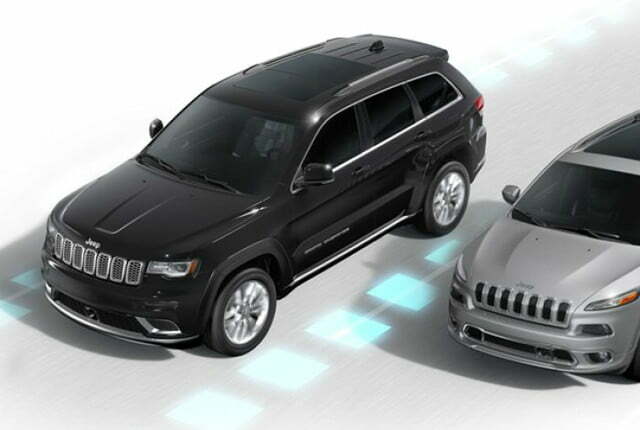 The Summit also has Jeep’s current full suite of safety and driver assist features including adaptive cruise control with stop, blind spot monitoring and rear cross path detection, forward collision warning with active braking, parallel and perpendicular park assist, and LaneSense lane departure warning with lane-keeping assistance. Starting at $67,395, the Grand Cherokee SRT is the first of Jeep’s two performance models, available only with four-wheel drive. When the Grand Cherokee SRT8 made its debut in 2006, it seemed like overkill to many, but the very fast four-wheeler turned out to be very popular. 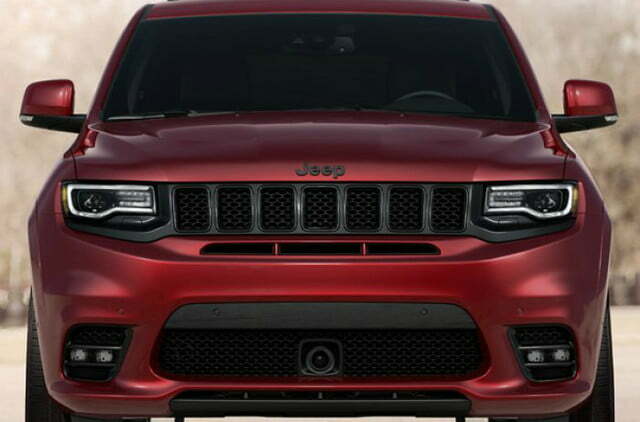 This essentially gave Jeep the go-ahead to further SRT development and, more recently, the Hellcat-powered Trackhawk. The Grand Cherokee SRT is a very fast ride with recognizable, distinctive looks that should more than meet the needs of most people who crave performance but don’t feel a need to go all out. 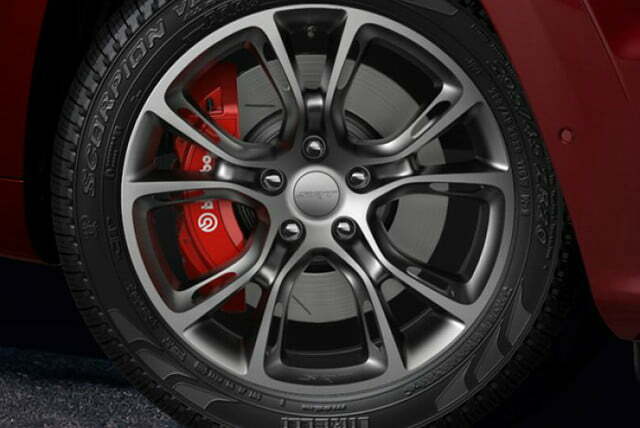 The SRT’s standard equipment list, in addition to the 6.4-liter V8 Hemi with launch control, includes 20-inch premium aluminum wheels with run-flat tires, Bilstein active damping suspension, Brembo high-performance brakes, and Jeep’s Quadra-Trac Active-on-Demand 4×4 system with Selec-Trac. 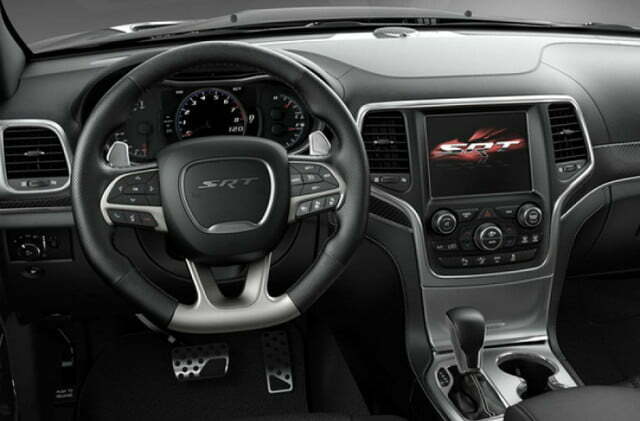 The SRT’s interior has a flat-bottom steering wheel, carbon fiber accents, and distinctive leather seats with suede inserts. When you absolutely have to be the first one to the campground (or you just like to smoke your tires), the Trackhawk is more than ready. This Hellcat-powered Grand Cherokee, with a starting price of $85,900 in 4×4 only, is not only the fastest Jeep SUV, it one of the fastest SUVs on the planet. The Trackhawk’s 6.2-liter supercharged engine is good for 0 to 60 mph in 3.5 seconds, 11.6-second quarter-miles, and a 180-mph top speed. 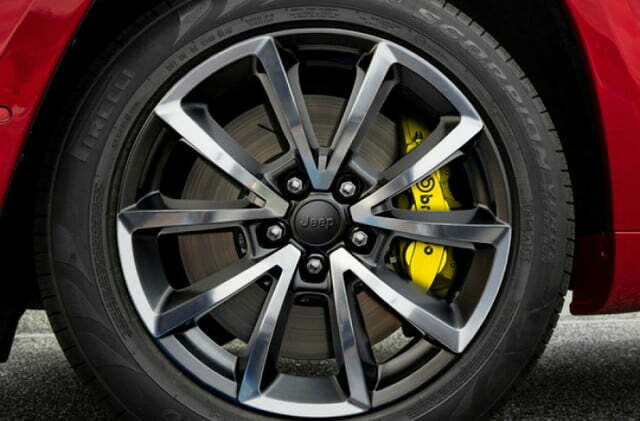 For high-performance stopping power, the vehicle wears 15.75-inch front and 13.8-inch rear Brembo brake rotors. The Trackhawk also has an upgraded transmission and driveline components, plus Bilstein adaptive suspension damping. The ride is 1-inch lower than other trims, a feature shared with the SRT. Additional exterior and interior functional and styling features unique to the Trackhawk underscore its role. If you have a mind to tow with the Trackhawk, an optional towing package will let you drag up to 7,200 pounds of boat or camper down the road. It’s probably not a great idea to use launch control with a camper in tow. 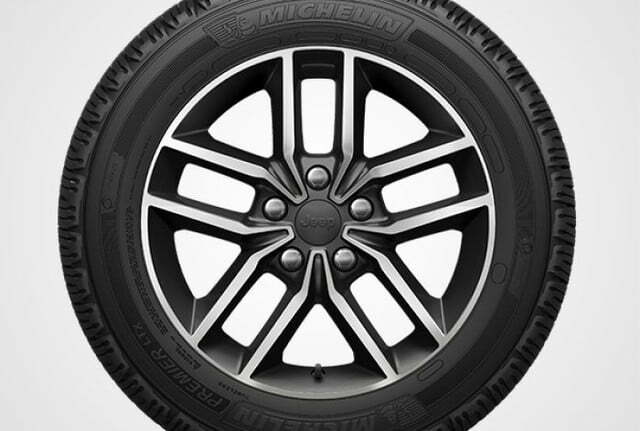 The Trackhawk’s standard equipment list includes its own distinctive 20-inch polished aluminum wheels with run-flat tires. Equipped with the Uconnect 4C NAV system with an 8.4-inch touchscreen, the Trackhawk has special track pages with screenshot capability so you can capture and save your quarter-mile times or other performance stats. 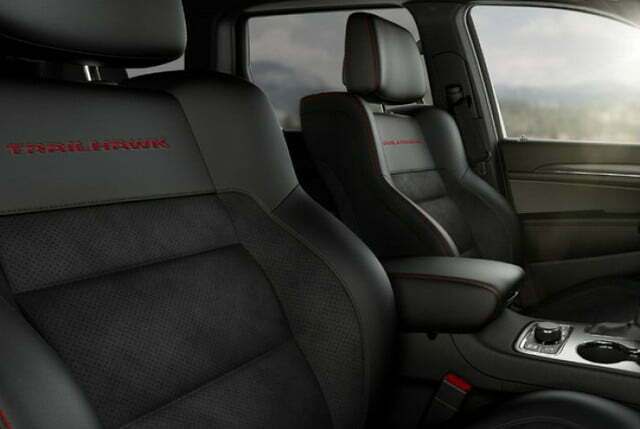 Finally, the Trackhawk also includes the full Jeep safety and driver assistance suite. When you’re driving home from the track after a full day of high-speed driving, it’s a great idea to have all the assistance you can get.